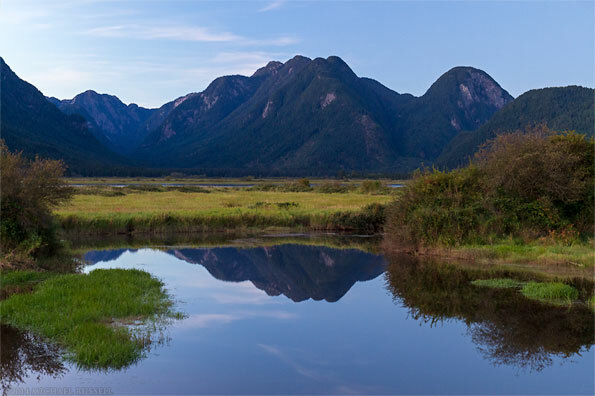 A month ago I headed to the Pitt Polder Ecological Reserve in Pitt Meadows, British Columbia, Candada to check out potential for fall colours, and to photograph the northern lights should they show up (they didn’t). 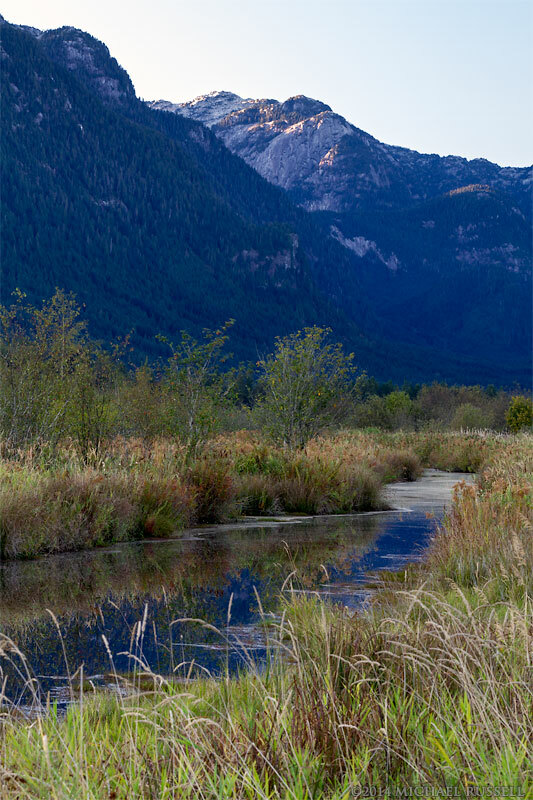 This is Gloomy Peak and parts of the Coast Range reflected in a pond along the Pitt River. A familiar spot for me, but I did like the light here after sunset even if it was rather brief. The Chamisso’s Cotton Grass (Eriophorum chamissonis) was one of the reasons I walked into the marsh along the dike. I had read they grew here, and I enjoyed them as a foreground element when I first ran into them at Washington Pass. I think I will try to photograph this area again when the leaves are exhibiting some nice fall colours. While the Maples cannot be relied upon for nice colours, the birches usually deliver, though they are few and far between. 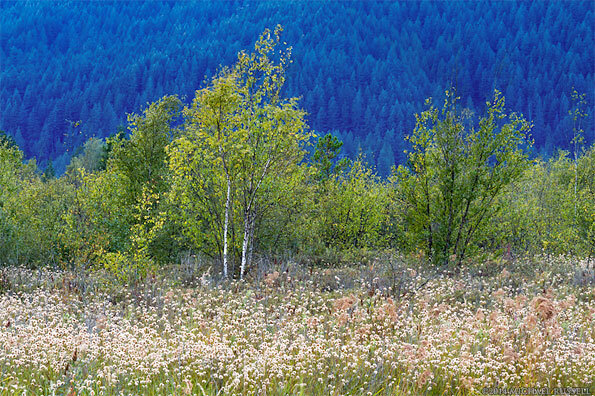 You can view more of my photography from British Columbia in my image archive’s British Columbia Galleries.